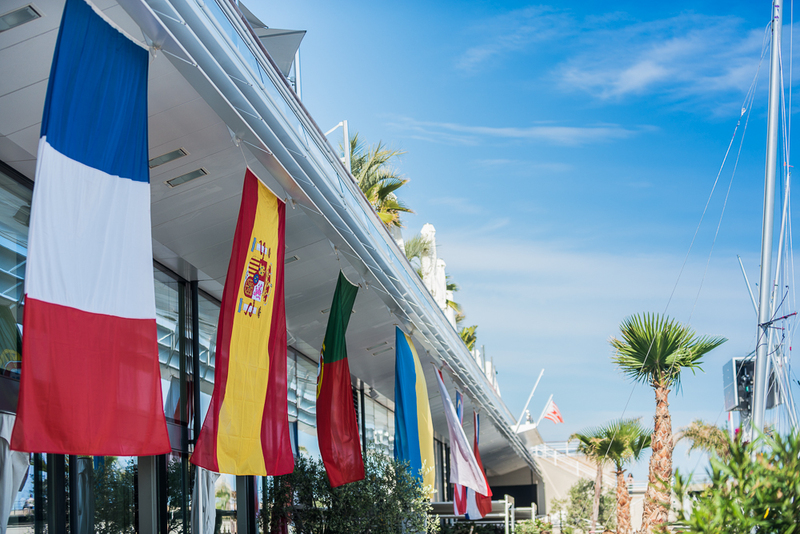 Patience was needed on the penultimate day of racing here at the 470 Europeans in Monaco, as the wind kept away, with 0 knots recorded at one point on the race course. 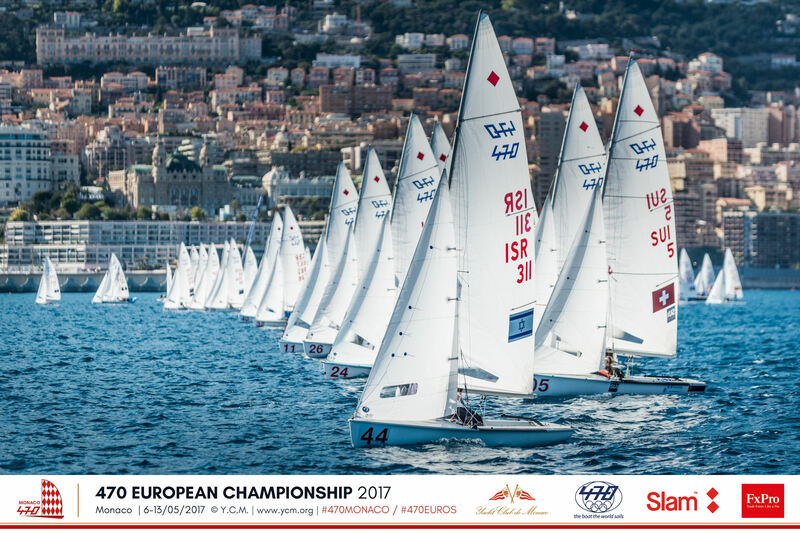 After a long wait, racing got underway just before 1800 hours in a very light and shifty breeze, with just one race held for each fleet. Time to consolidate for those teams already in the top ten, and attack for those with aspirations to climb up to the medal races on Saturday. 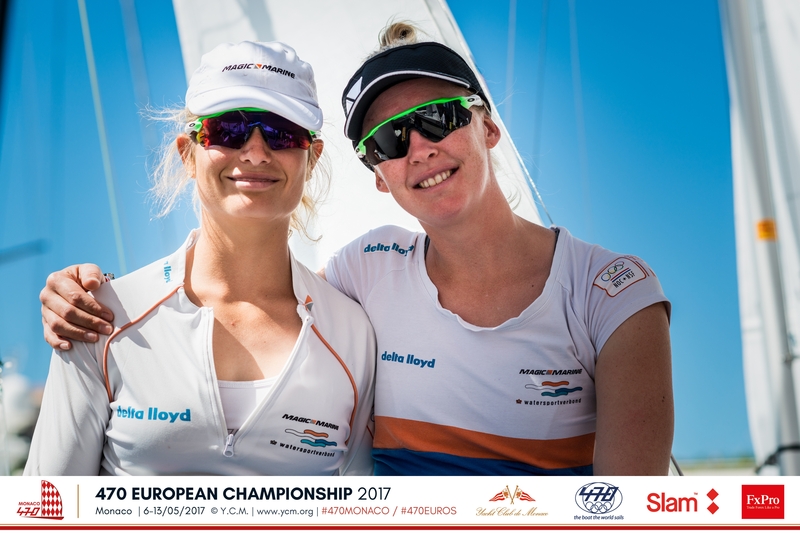 The Netherland’s Zegers and van Veen kept their lead in the 470 Women, and have done enough to guarantee themselves a medal, with just the colour to be decided. 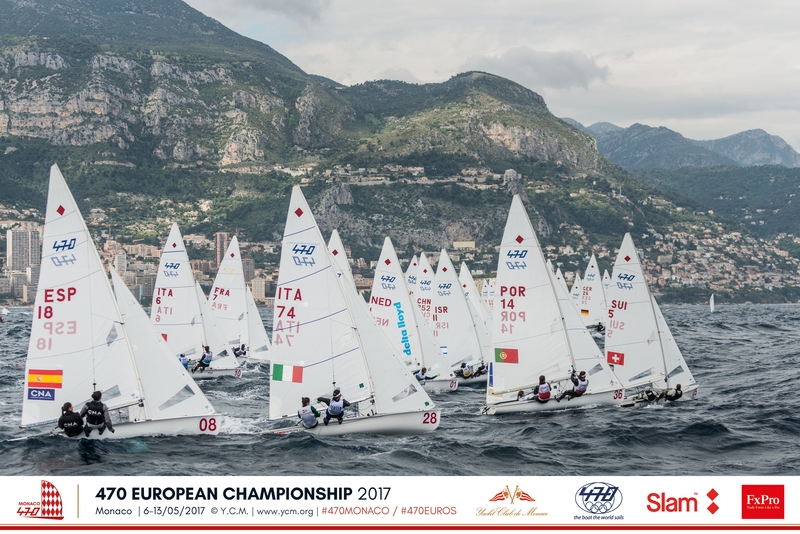 Italy’s Berta and Carraro and Poland’s Skrzypulec and Ogar are close in 2nd and 3rd, but there is no such medal guarantee for them. In 470 men’s, Malaysia’s Norizan and Aziz ended their Championship on a high, as they led for most of the race before being overhauled by Australia’s Belcher and Ryan. 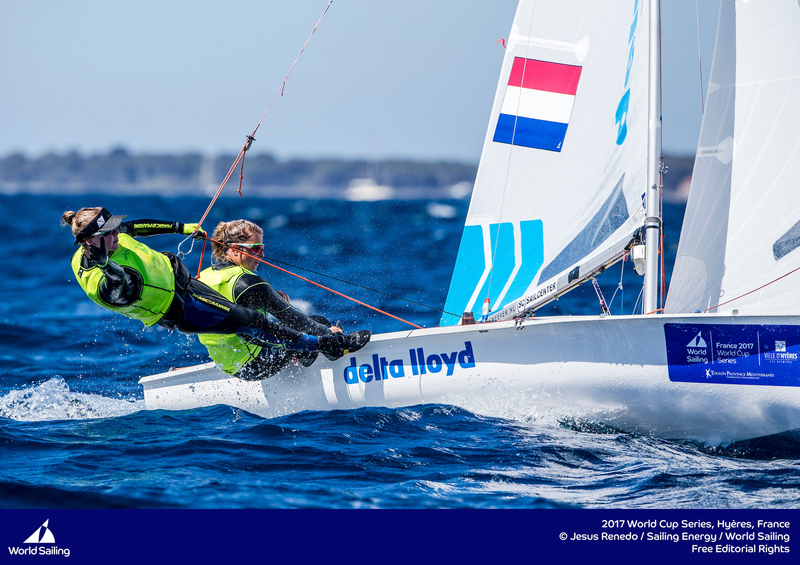 The Aussies now sit behind the second placed French pair of Pirouelle and Mion. 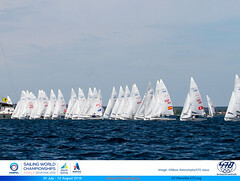 Series leaders Fock and Dackhammar sailed a safe race, finishing 3rd to hold a 9 point lead. The medals are still wide open though. In the 470 Men, the top 10 teams that started the day were the same that ended it, with just a bit of shuffling in points and positions. 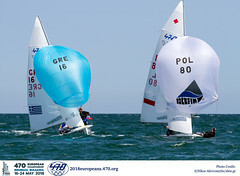 In the very tricky breeze, Carl-Fredrik Fock/Marcus Dackhammar (SWE) raced to a conservative third place, positioning themselves with a 9 point advantage over second place Guillaume Pirouelle/Jeremie Mion (FRA). Just one point behind defending European Champion Mion, sit the Australians Mat Belcher/Will Ryan. After the leading three teams, there is a 4 point deficit to Jordi Xammar/Nicolas Rodriguez (ESP), and then a 10 points gap to the fifth placed Panagiotis Mantis/Pavlos Kagialis (GRE) and Russia’s Pavel Sozykin/Denis Gribanov (RUS) on 50 points apiece. 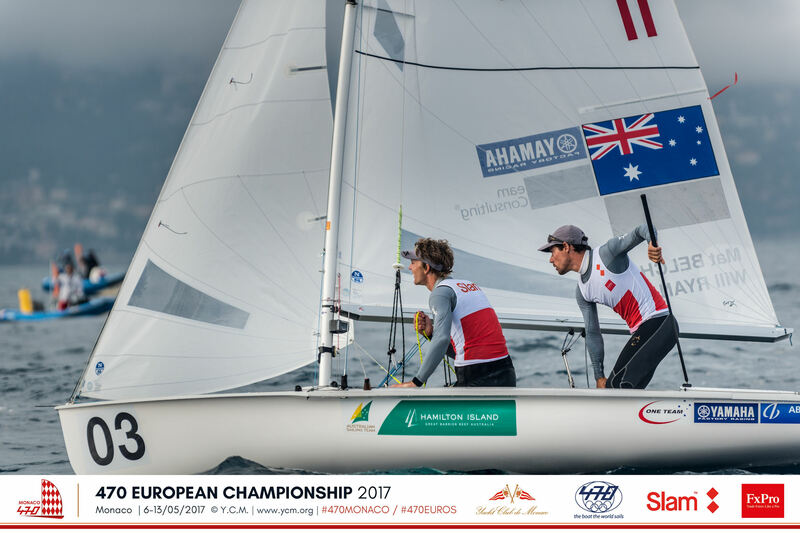 No teams in the 470 Men line-up have assured themselves of a medal, and the podium is all up for the taking in Saturday’s double points medal race. 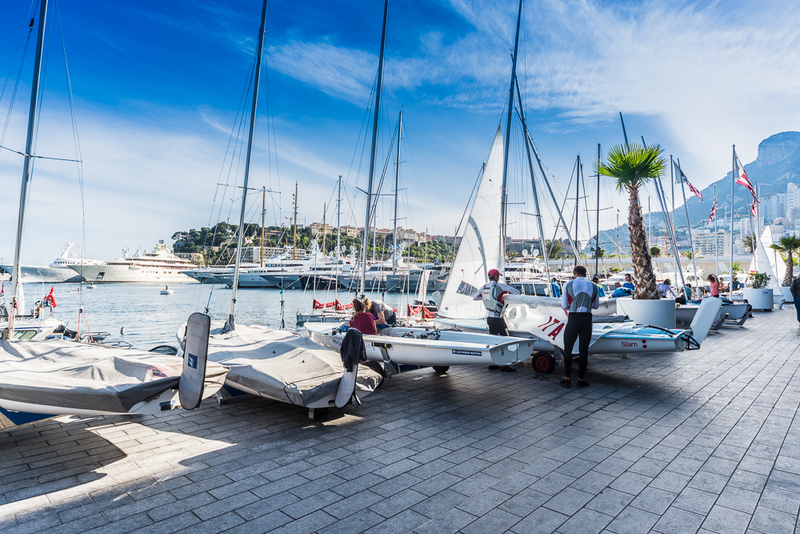 Hoping to make the podium is Spain’s Xammar, who has been balancing his 470 training alongside helming the ‘Spanish Impulse’ team for the Youth America’s Cup, and will be heading back to Bermuda in less than two weeks. 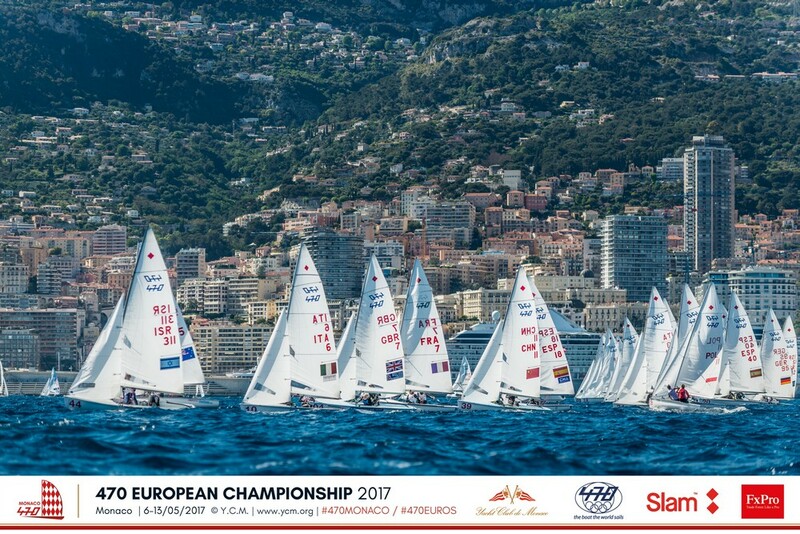 Whilst Xammar has plenty of medals in his pocket as a multiple 470 Junior World and Junior European Champion, Monaco marks the first time he is in the medal mix at a 470 European Championship. Close but not close enough for Portugal’s team of Diogo Costa/Pedro Costa, who missed out on advancing to the medal race by one point. Watching them, you would never know they had spent less than one year in the 470. 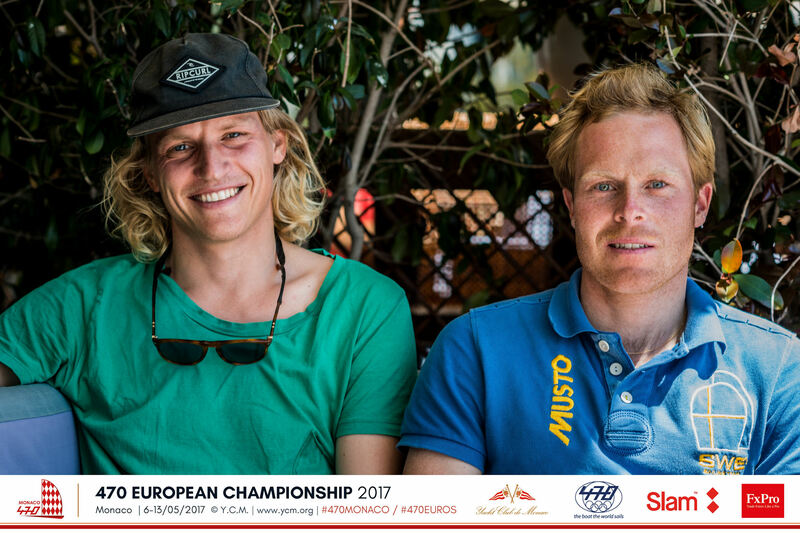 The brothers have impressively leapfrogged from winning last year’s 420 World Championship to front of fleet racing in the 470, and end their European Championship campaign in 11th overall. “We weren’t expecting to be in this place, but we are doing a lot of training, and we will keep pushing. 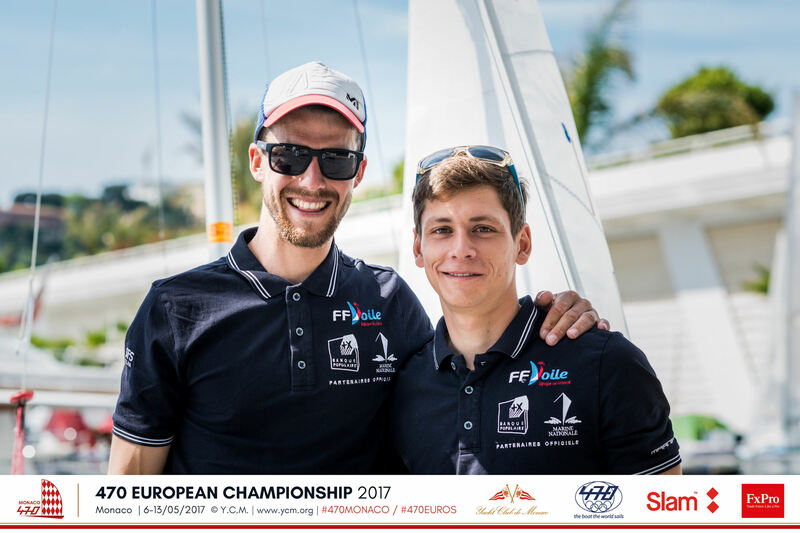 Our coach told us we could get to the medal race and we didn’t believe it until now, and now we realize we can do it,” acknowledged Diogo. What a way to end a Championship for Malaysia’s Faizal Norizan/Syukri Aziz, as they led the final men’s gold fleet race through until the last downwind leg, when an error allowed Australia’s Belcher/Ryan to grasp the advantage. However, the potential of this young partnership is evident, as they return home tomorrow with a 21st overall. 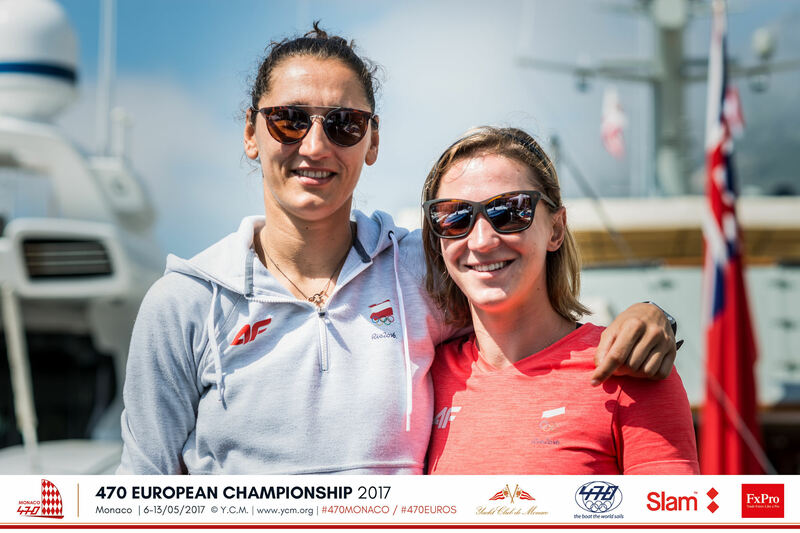 Glory days for Zegers/van Veen in an incredible passage of play, given where they were at the start of Thursday’s racing, languishing in 16th overall. Their resilience and experience has shone through, as they guarantee themselves a medal. They are also on course to maintain their streak of form which started in January 2017, rewarding them with wins at every event they have raced. 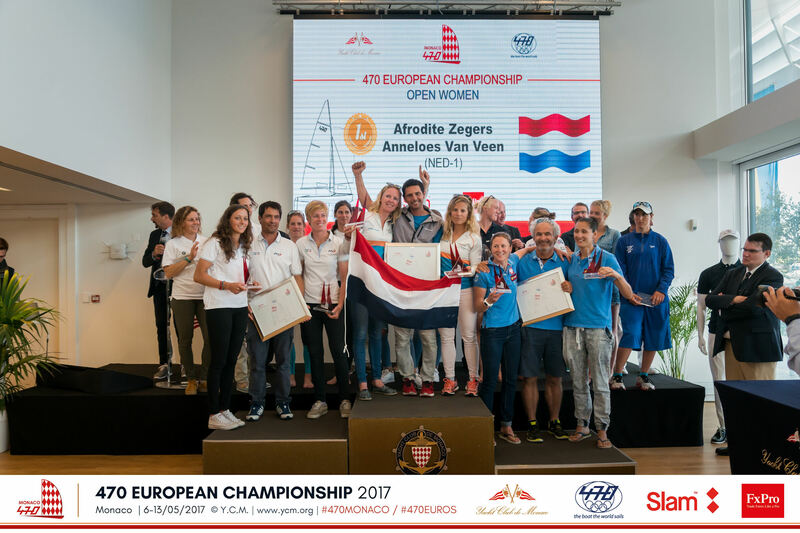 “We had a bad start and made some big mistakes in the light winds, and then yesterday it was tough conditions,” Zegers said in reference to the 25+ knots of breeze, “and today we are really happy, because in the shifty, tricky conditions we have assured ourselves of the medal. 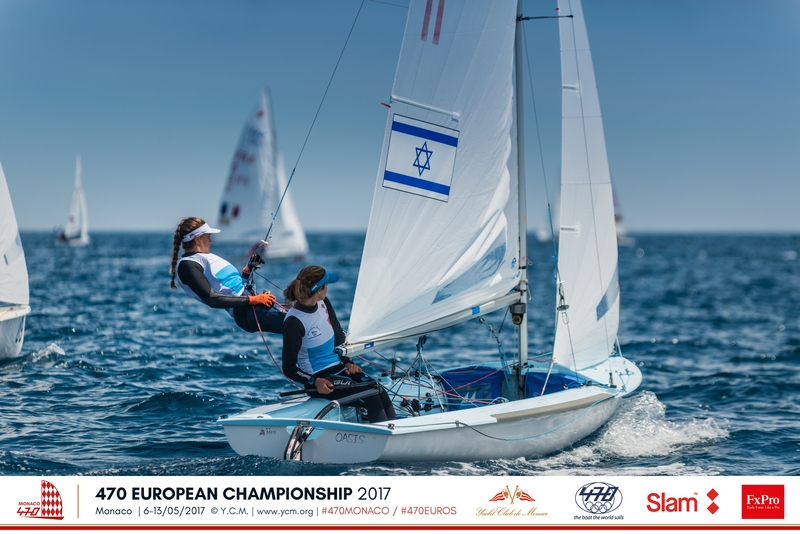 Italy’s Elena Berta/Sveva Carraro are chasing, along with Poland’s Agnieszka Skrzypulec/Jolanta Ogar in third. Teams will need to have real focus in the pressure filled medal race, as any of those placed down to 7th have a shot at the medals. 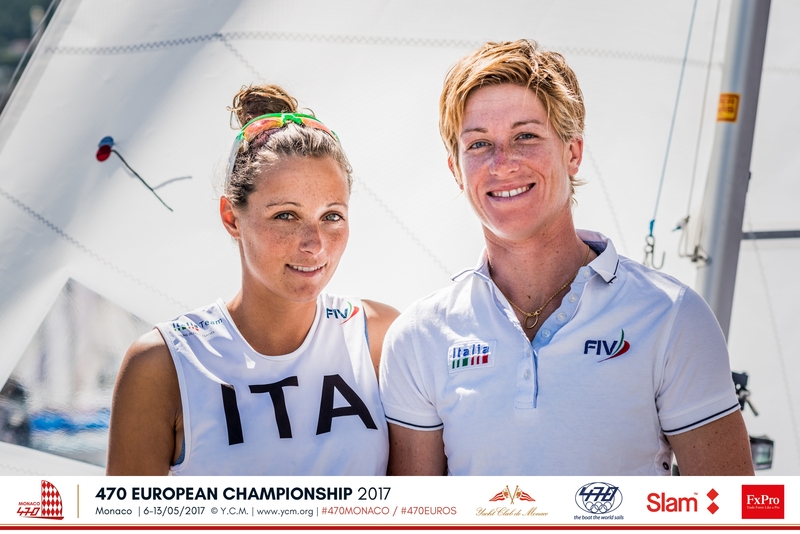 Not the best of day’s for Spain’s Silvia Mas/Patricia Cantero as they crashed into the Race Committee boat at the start, which left them trailing the fleet and scoring their worst result of the series, a 25th place. Fortunately for them they could discard the result, and they are still in with a shot at the bronze medal. 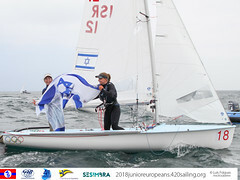 Two teams managed to up their game at the right moment, as Jennifer Poret/Camille Hautefaye (FRA) and Nadine Boehm/Ann-Christi Goliass (GER) qualify through to the medal race, from being outside the cut at the start of the day.